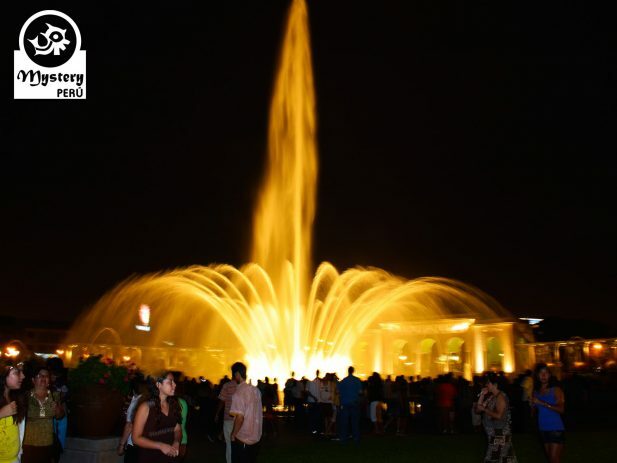 Our tour to the Magic Water Park and Dinner Show in Lima involves a visit to one of the best attractions in our capital. 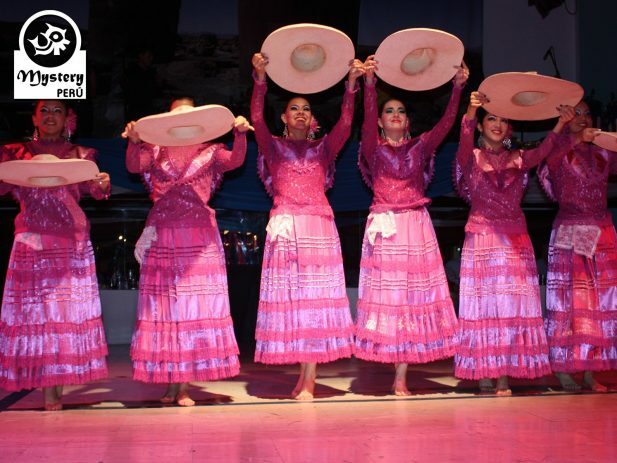 We will also enjoy a great dinner show, full of music, dance and good gastronomy. 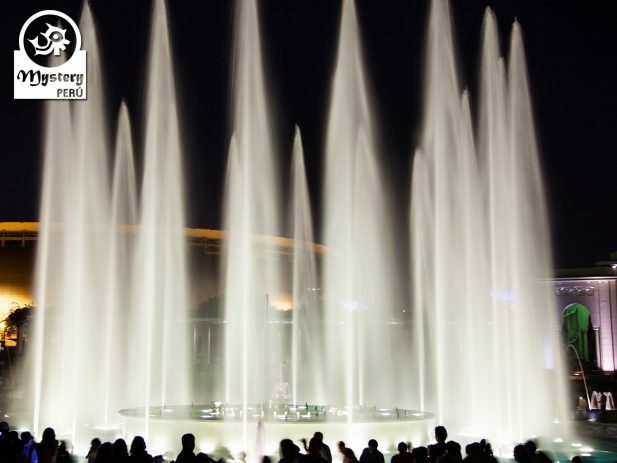 Part I – Water Magic Park of Lima. Our tour start right at your hotel. Our driver picks you up from there. Then we drive towards the water park. At the park we will walk around with our guide visiting the nicest fountains. At first we will find the Tunnel of Surprises, where visitors can walk through and take good pictures. Among the nicest fountains we will see the Labyrinth of Dreams, the Fountain of Life, The Fountain of Illusion and the Magical Fountain. 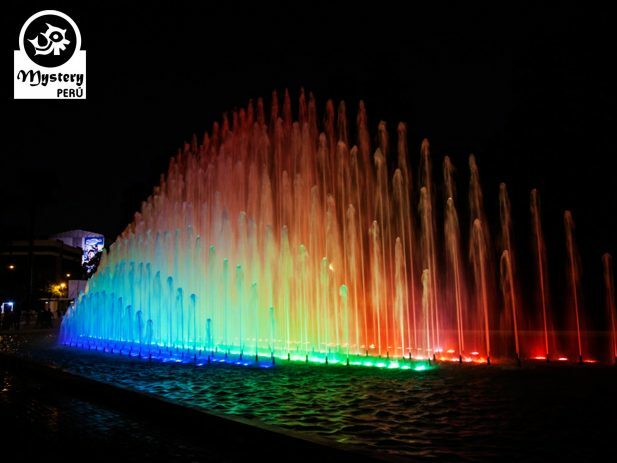 Here we will also see the Fountain of Fantasy, which hosts a colorful laser light program complete with music and projected images. 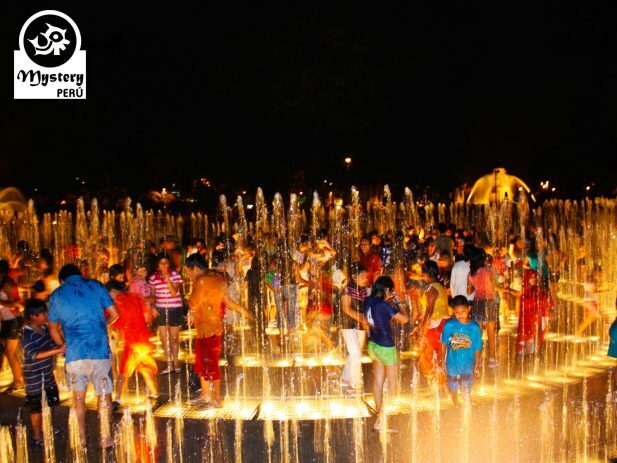 Besides the water shows, there are interactive fountains where children can run into and enjoy the cooling waters. Afterwards we will drive to the district of Barranco for a dinner show in one of the best restaurants of Lima. Part II – Dinner Show. 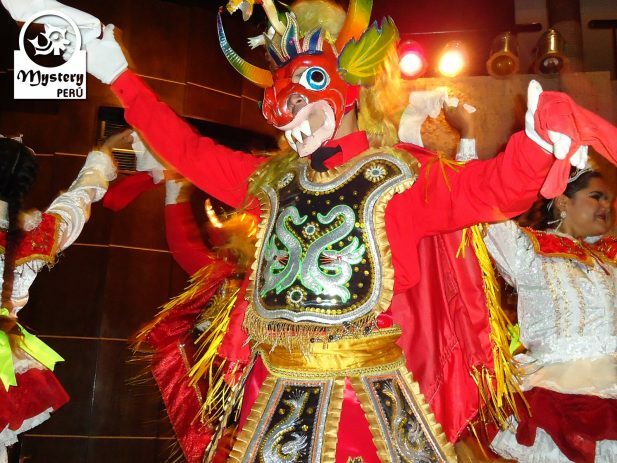 Here we will be able to enjoy a fantastic show of traditional Peruvian dances. 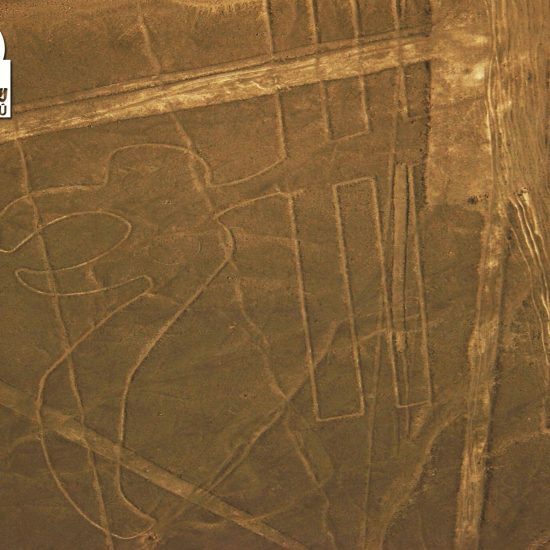 Their show features the tradition of the most important regions of Peru: coast, mountains and jungle. During the show the dancers wear traditional costumes of each region. 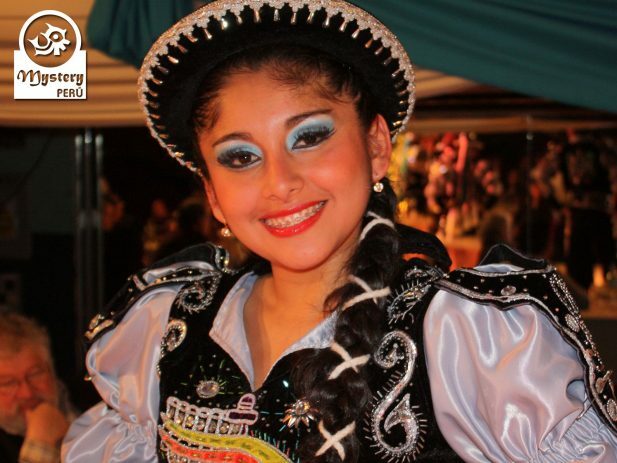 The Marinera Norteña is without doubt the most representative dance in Peru, a very graceful and elegant dance. 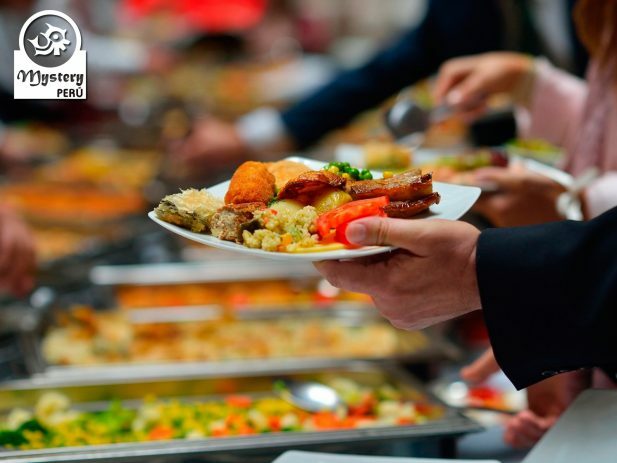 Besides, you will enjoy a delicious dinner buffet. 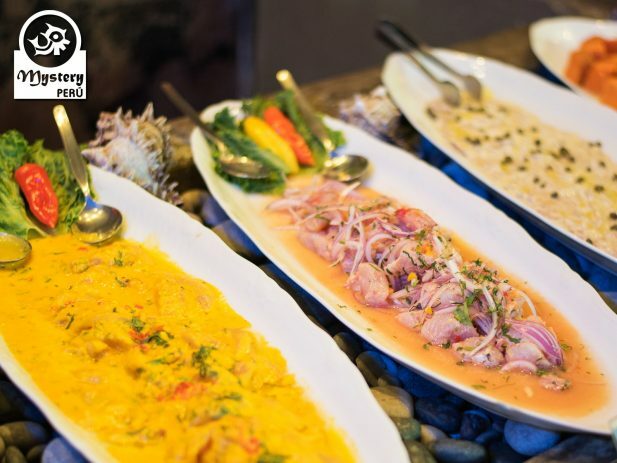 Our menu features the most traditional dishes of the Peruvian cuisine. Among the dishes, you will be able to taste, Cebiche, Lomo Saltado soups and traditional Peruvian desserts. After the show our driver will take you back to your hotel. Our Tour to the Magic Water Park and Dinner Show in Lima is subject to availability. Visit to the Magic Water Park of Lima. Dinner Show at a the Dama Juana Restaurant. 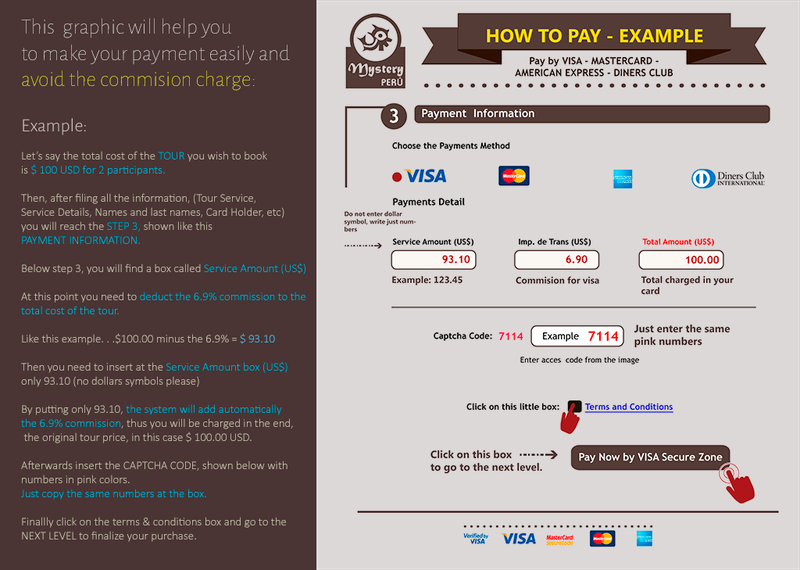 English-spoken guidance & All entrance fees. Tour to the Magic Water Park and Dinner Show in Lima.